We recently hit a major milestone in our trip as we crossed the 90 day mark while in Bangkok, Thailand. 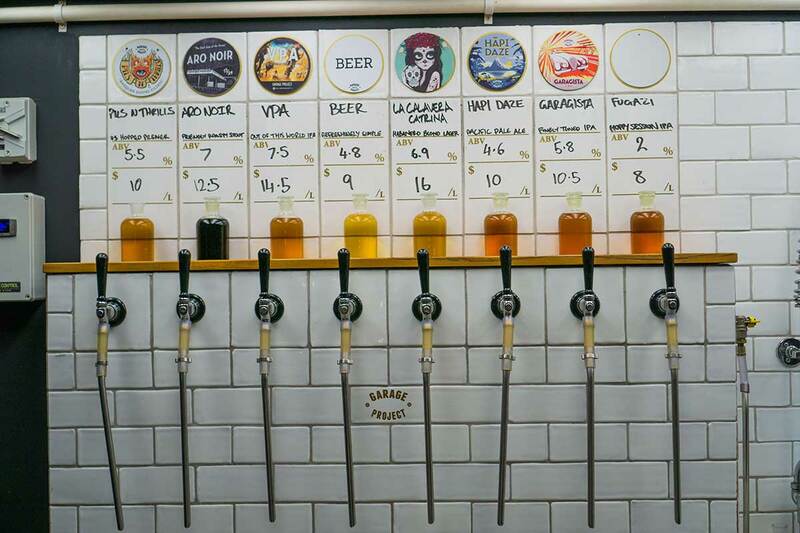 Seeing as we are almost a third of the way into our journey we thought it would be fun to reflect on all of our travel experiences to date and take a pause to compare some of our best experiences across countries. Since leaving the USA on April 12, 2016 we have traveled more than 43,000 km (26,600 miles). 84% was by air transport, 12% by train, and 4% by car or other (e.g. bus, taxi). On average, we walk 7.5 miles per day, with many days over 10 miles when we are doing day hikes or treks. We have visited six countries and lodged overnight in 32 different cities. 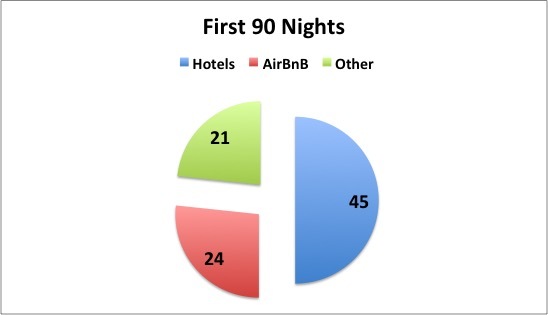 That’s an average of only three nights in any one city or specific place per stay. Imagine packing up your entire lives into backpacks every three nights! The “other” category which include stays with friends, Ryokan (in Japan), hostels, and our overnight cruise in Halong Bay, Vietnam. 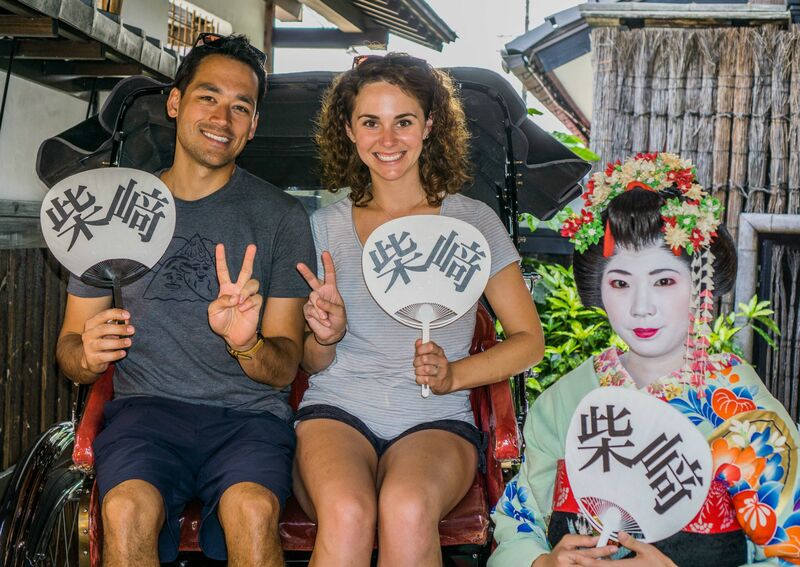 Budget-wise, Japan has been the most expensive country that we have visited. This is mostly due to the rail-passes that we acquired – while they saved us a lot of money, they were still one of the largest purchases we have made. Vietnam has been the least expensive country where it is feasible to get by on less than $50 per day. We have saved a lot of money (vs budget) by using member rewards points (e.g. Hilton, Marriott) and through the use of AirBnB. Natalie is working on an article specific to how we have saved money while traveling that we plan to publish soon. Lodging, Food, and Flights comprise 72% of our trip expenses. Bluebridge Cook Strait Ferry from Wellington to Picton - New Zealand. Staying in a Ryokan - Mt Koya, Japan. View from the tallest observation deck in the world, Shanghai Tower - Shanghai, China. 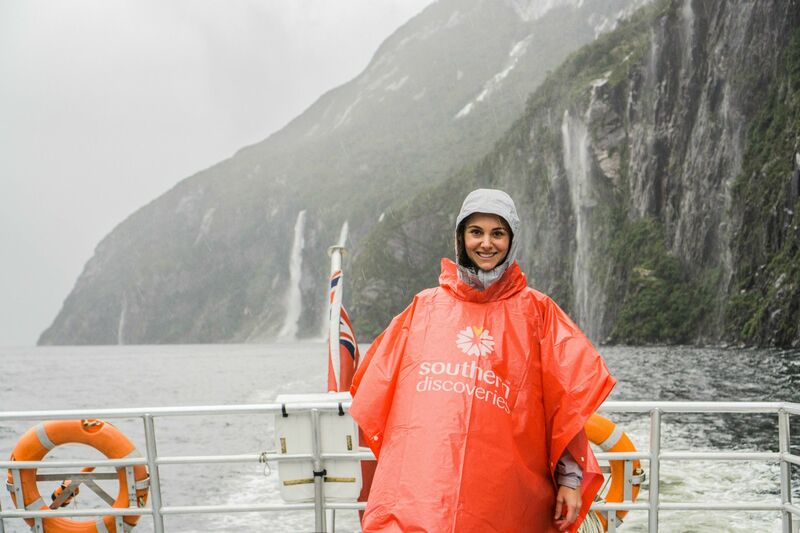 Natalie in Milford Sound, New Zealand. 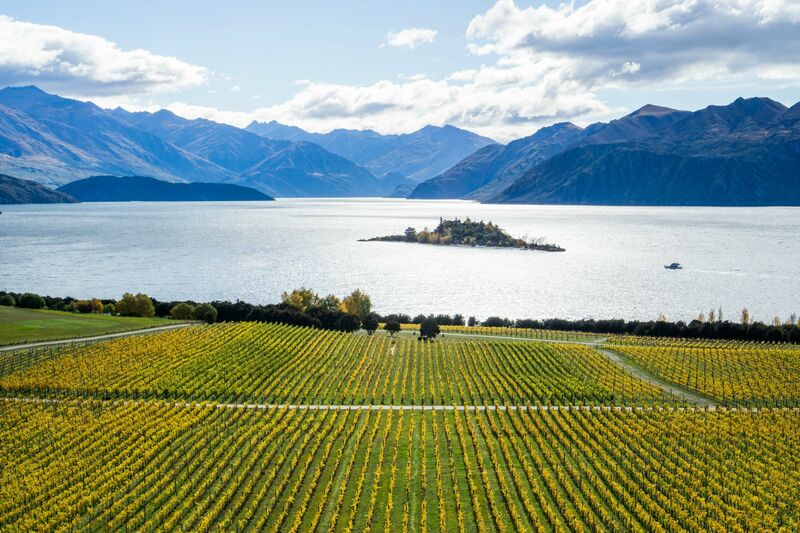 Autumn in Lake Wanaka, New Zealand. 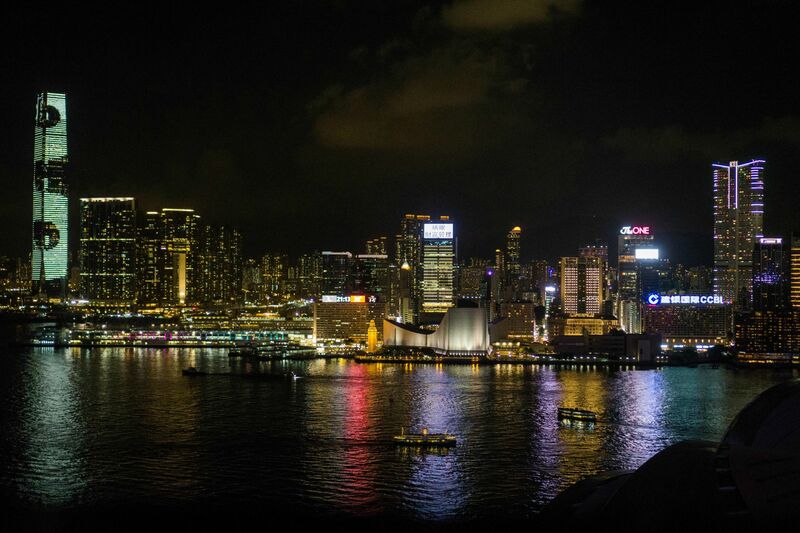 View at night from our room at the Grand Hyatt, Hong Kong. 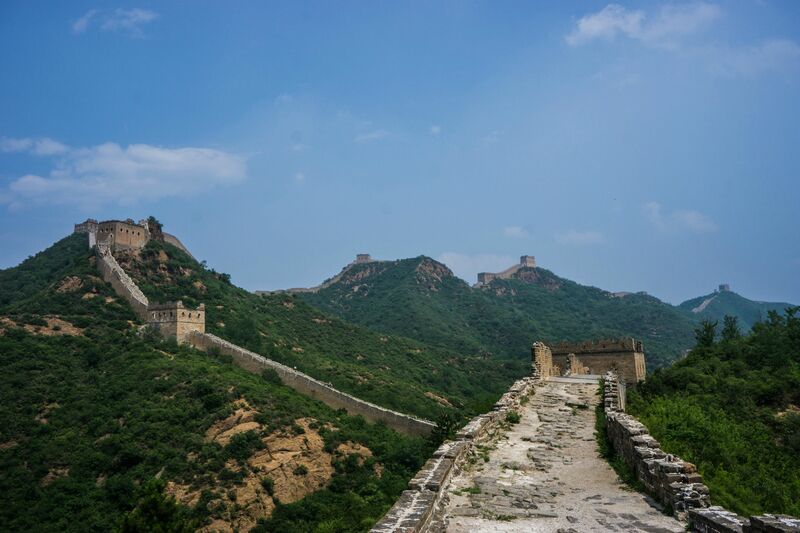 Surreal experience hiking the Great Wall of China at Jinshanling. 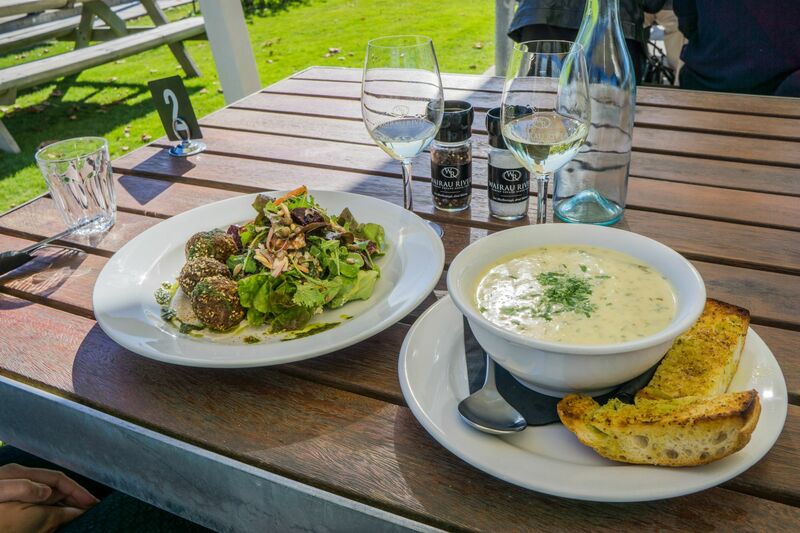 Perfect pairings at Wairau River Vineyards - Blenheim, New Zealand. 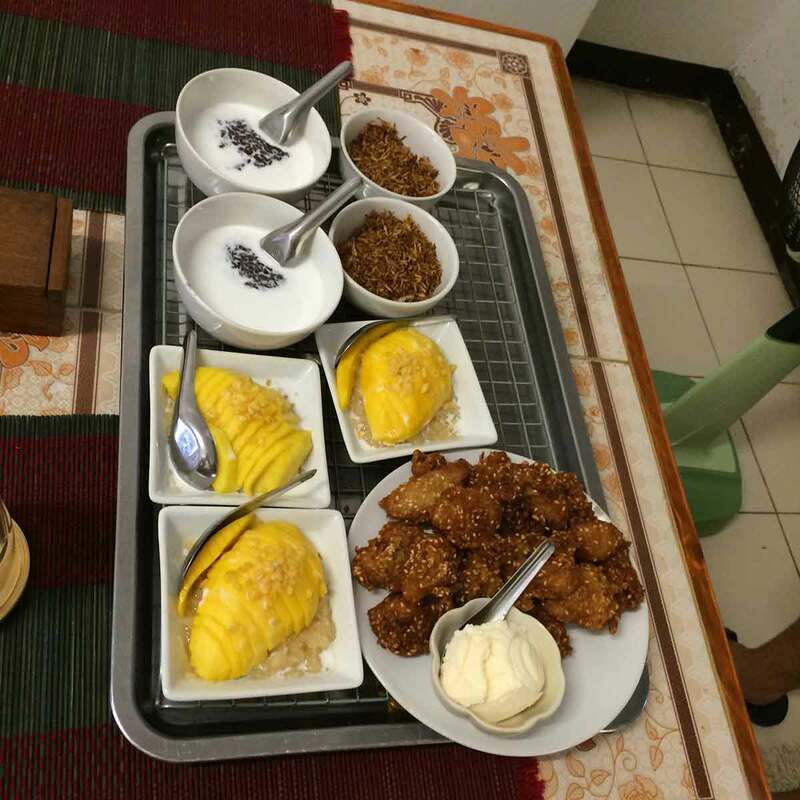 Mango with sweet sticky rice and other tasty Thai treats that we made in our cooking class in Chiang Mai. 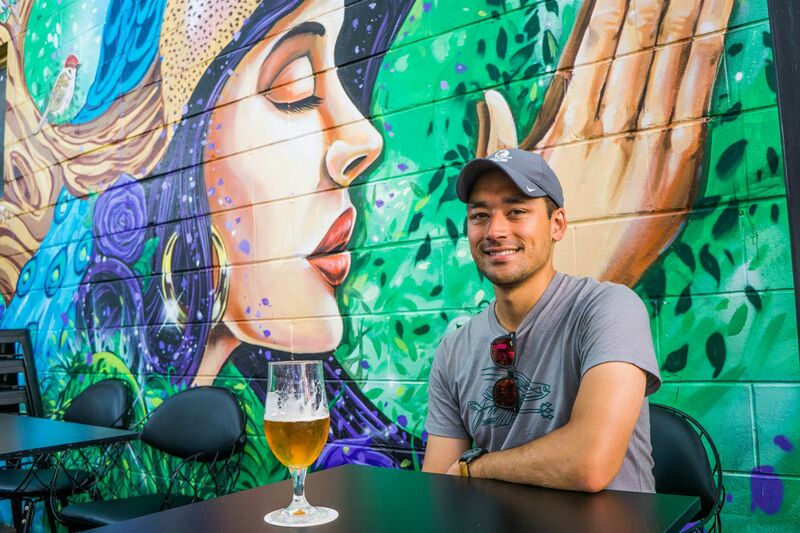 Tasty beer at the Garage Project - Wellington, New Zealand.